Babylonians were able to calculate the position of Jupiter in the sky, the planet that approached their chief god, using a complex system of calculation that uses trapezoidal figures. And they did it with an advance of 1,400 years than the computing power that would come later in Europe. The discovery was made by Mathieu Ossendrijver, professor of the History of Ancient Science at Humboldt University in Berlin, who got the cover of the latest edition of Science. Ossendrijver’s arrived at this conclusion by interpreting four clay tablets, dating from between 350 and 50 BC, preserved in the British Museum in London. The position of the giant planet has been calculated in two time periods: 60 and 120 days after its appearance on the horizon. Until now it was thought that the Babylonians elaborated the movement of the Sun, Moon and planets only thanks to arithmetic. 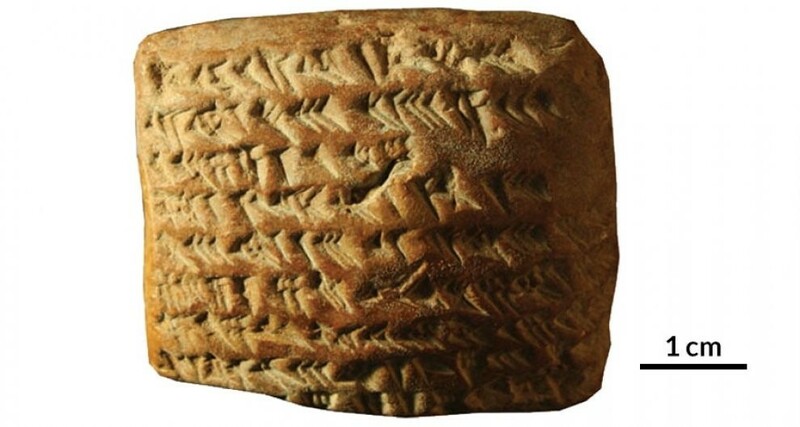 The tablets however, Ossendrijver observes, show that “the Babylonians used abstract geometry to define the time and speed, unlike the ancient Greeks who used geometric shapes to describe the position in the physical space“. Tablets “rewrite the history books of astronomy and reveal that European scholars, of Oxford and Paris, were preceded by the Babylonians in the use of geometry to calculate the position of the planets“. Historians of science Alexander Jones, New York University, and John Steele, of Brown University, underline how the discovery “testifies how much scholars of Mesopotamia were brilliant” and is “an extremely important contribution to the history of science”.